HP ENVY 4513 4520 4521 4522 4523 4524 4525 4526 4527 4528 Inkjet Printer. Simply ignore the low ink warning and continue printing. If it has no sponge, it is not an XL and you have been mis sold. HP DeskJet 1110 2130 2132 2133 2134 3630 3632 3633 3634 3636 3637 3638 3639 Inkjet Printer. Flush clean - 50 Degrees C heated flushing/cleaning fluid injected via head to flush out old ink. •Envy 4500 e-All-in-One. MAX REFILL WITH CHIP TESTED. Compatible printer model:-. •Deskjet 1050A. 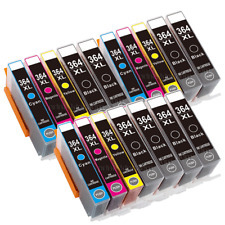 •Officejet 4639. •Officejet 4632. •Officejet 4630. •Officejet 2622. You must be eighteen years old to use this site. If you are under eighteen, you may only use the site in conjunction with, and under the supervision of, a parent or guardian. No contract for the sale of any product will exist between you and Ink Trader until we dispatch the product(s) ordered. 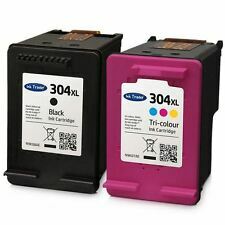 304XL Black & Colour Remanufactured Ink Cartridges For HP Deskjet 2600 Printers. Flush clean - 50 Degrees C heated flushing/cleaning fluid injected via head to flush out old ink. Pre soak - using specially formulated flushing fluid to rehydrate & soften dried ink on the print head. •Envy 4500 e-All-in-One. •Deskjet 1000 AIO. MAX REFILL WITH CHIP TESTED. Compatible printer model:-. •Officejet 4630. 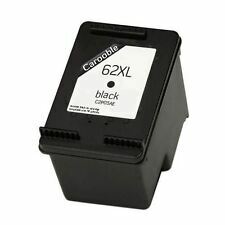 •Officejet 2622. •Officejet 2620. •Deskjet 3059a. You must be eighteen years old to use this site. If you are under eighteen, you may only use the site in conjunction with, and under the supervision of, a parent or guardian. No contract for the sale of any product will exist between you and Carooble until we dispatch the product(s) ordered. 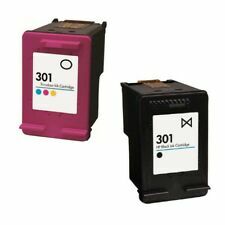 903 XL Pack of 4 Remanufactured Ink Cartridges For HP Officejet Pro 6960 Printer. •Deskjet 2540. •Deskjet 1050 AIO. •Deskjet 2050 AIO. •Deskjet 2050s AIO. •Deskjet 3000 AIO. •Deskjet 3050 AIO. •Deskjet 1000 AIO. •Deskjet 1050A. You must be eighteen years old to use this site. If you are under eighteen, you may only use the site in conjunction with, and under the supervision of, a parent or guardian. Anyone caught wiIfully entering an erroneous or fictitious order will be prosecuted to the fullest extent of the law. 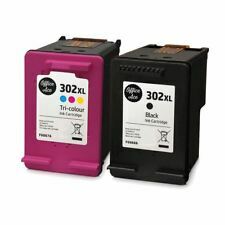 Remanufactured 302XL Black & Colour Ink Cartridge Combo fit HP Envy 4527 Printer. HP ENVY 4520 4522 4523 4524 4525 4527 4528. HP DeskJet 1110 2130 2132 2134 3630 3632 3633 3634 3636 3638. 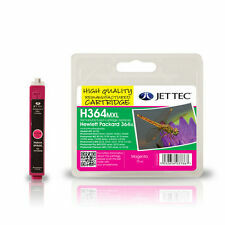 HP OfficeJet 3830 3831 3832 3833 3834 3835 4650 4652 4654 4655 4657 4658 5220 5230 5232. Compatible for the following printers. HP Deskjet 3720, 3730, 3733. If we discover an error in the price of the goods you have ordered we will inform you as soon as possible and give you the option of reconfirming your order at the correct price or cancelling it. 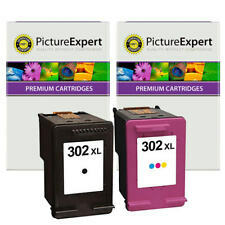 HP Photosmart C4200 C4205 C4210 C4240 C4250 C4270 C4272 C4273 C4275 C4280 C4283 C4285 C4294 C4340 C4342 C4343 C4344 C4345 C4348 C4380 C4385 C4400 C4410 C4440 C4450 C4472 C4473 C4480 C4483 C4485 C4500 C4580 C4583 C4585 C4599 C5200 C5240 C5250 C5270 C5273 C5275 C5280 C5283 C5288 C5290 C5293 C5500 C5550 C5580 D5300 D5360 D5363 D5368. 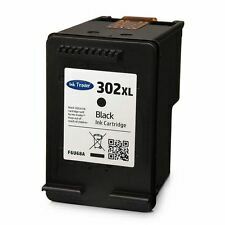 H 302 XL Remanufactured High Yield Ink Cartridge - Black. 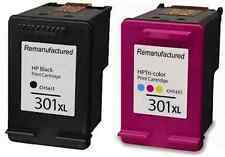 Refilled HP 339 Black + HP 344 Colour Ink Cartridges Remanufactured Inkjet.